There will be a Country. The idea of there not being a country has been misinterpreted and misrepresented by a lot of people, including myself. There was a country. We were on the road to be the true giants of Africa but, along the line, due to the mismanagement of the affairs of the country, we were derailed and we haven’t quite found our way back. Our post-colonial disposition is that of a people who have lost the habit of running themselves. We had a system of government pre-colonial. It worked for us because it was our system. This is why we have difficulties running the new system that was forced upon us at the dawn of independence by the colonial masters. It has taken us to a point where most of us do not know the true meaning of our National Anthem. For instance, how do you interpret this excerpt from the National Anthem to the ordinary Nigerian, “To serve our fatherland, With Love and strength and faith,” Or “The labour of our heroes past, shall never be in vain”? These are words that are meant to foster unity in people; sadly, over 90 percent of our population knows nothing about our heroes past. Almost the same number knows nothing about the history of our green/white/green flag and how it is important that we show respect to the flag wherever it is hoisted. Instead, we often see the Nigerian flag in tatters wherever they fly. Part of the reason for this blatant disregard of a very important symbol of nationality is the elimination of History from the curriculum in our schools. The Nigerian stories have to be told to the younger generation so they can have an idea where we got it wrong and we can give them a chance to not repeat the same mistake again. 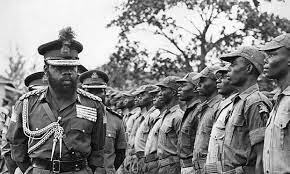 There are a lot of stories pre-Independence and post-Independence that can shed light on the Nigerian state: the First Republic, the military era, the incessant coups and how we became a democratic nation. These stories should not be swept under the rug, never to be heard of again, for the sake of history not repeating itself. The educational value of all these to the younger generation should not be underestimated. Our currency is one of the dirtiest in the world. 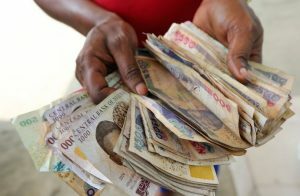 Even though it cannot be exchanged outside Nigeria, it still belongs to Nigeria as an instrument of exchange. Our symbols of nationality are not being properly respected. Even the political dispensation that we are practicing now has not been well-implemented. Certain things should not happen within the political sphere of a country like Nigeria. A recent example: Why was the mace, which symbolizes authority in the Senate, allowed to be stolen by common thugs? This negligence and utter disregard for the law gives you a snapshot of the state of pandemonium our government is in. I must keep asking, is this a curse? Until we begin to understand the relevance of these symbols of nationality, the saying by renowned author and activist Chinua Achebe, “There was a country,” will continue to resonate. One thing we are yet to do is sit down and analyze a few of the historical milestones of our nation. We need to ask: Why did the military coups take place? Why did the civil war take place? What caused the misruling of our nation? The cost of the misrule to the country has been the Biafra war, the numerous coups, OPC crisis, June 12 election annulment, agitations that gave birth to militants in the Niger Delta, the marginalization of ethnic minorities that gave birth to Boko Haram and other fundamentalist groups and militia. Again and again, the Biafra issue. When we talk about Boko Haram and herdsmen tearing the country apart, we can notice that it is moving from the North and, if not checked on time, it might overrun a good part of the South and maybe even Lagos State. Why is it that we are afraid to go back to the beginning of some of these crises? Is it because we know that it is the result of the poverty and illiteracy that has ravaged a good part of northern Nigeria today? There was a plan by Alhaji (Sir) Ahmadu Bello, Sardauna of Sokoto, to eliminate poverty in the North by educating the people. His killing caused a lot of pain, which is still present as of today. This has made it very difficult for a good number of people in the North to bring the matter to closure. The same goes for the Biafran war. There is something to learn from the South African peace and reconciliation. Also, the Good Friday agreement that brought the Northern Ireland crisis to a closure. Using the examples above, if we don’t get to the root and have some sort of reconciliation or mediation, we might not be able to move forward as one nation. We tried some time ago but what we did was like putting a bandage on the wound without proper treatment. Let us begin to imagine a Nigeria that had no coups, no civil wars, didn’t have to deal with fundamentalists and insurgencies. I strongly believe that we will be far better in all aspects than we are today. The sum total of what these problems have caused us is the backwardness, instability, insecurity, and stagnation of Nigeria. How I became a contributor to this newspaper was by chance. I was paid a visit to my house by the publisher of this newspaper, the former Governor of Abia State, Dr. Orji Uzor Kalu, along with the former Governor of Delta State, Dr. Emmanuel Uduaghan, to congratulate me on the ceremony of my 80th birthday. In our usual fashion, we started a discussion about the state of Nigeria and the Fulani herdsmen crisis. It was during this conversation that the former governor, seeing that I had a lot of knowledge on the topic, persuaded me to write a weekly essay, which is how this column was birthed. This will be the 11th article for this column and all the previous publications are available on the website of The Sun Newspaper. I have also decided to publish these articles in the blog section of FADE Africa’s website (fadeafrica.org) to be read at your convenience. I have discussed various topics in this column, ranging from Fulani herdsmen, environmental pollution and even leadership in Nigeria. I have enjoyed writing about the most topical issues that this country has been inflicted with and proffering solutions. I am also happy to tell you that the responses, phone calls and text messages on these articles have mostly been positive. I feel very confident that, once again, there will be a country, a united country called Nigeria. But ask me when, and my confidence wavers ever so slightly. For Nigeria, silence that covers up past wrongs is not the best policy.